Places of interest in the East Neuk of Fife Scotland. There are many places to go and things to do in and around the East Neuk and something to suit everyone. For gardeners there are the Botanical gardens in St Andrews as well as the garden centres scattered around, and for the more creative try the Crail Pottery. For families, there is Craigtoun Park by St Andrews, a great adventure playground for children, with a boating pond and miniature train and lots of space to run around and burn off excess energy. Moving on you come to the Deer Centre at Cupar. As the name suggests it is a deer farm, you can hop on a tractor pulled trailer and drive through the fields with the deer. Also a great attraction is the wild birds, almost every day in the season there is a show of the flying falcons etc. 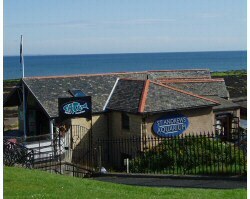 In St Andrews next to the Royal and Ancient Golf club is the St Andrews Aquarium, walking down the themed stairway the aquarium allows you to see a wide variety of underwater display with sharks, rays, etc. Heading back to the East Neuk you can venture into the Secret Bunker, not that secret now it is well sign posted. 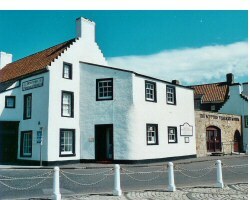 The East Neuk has historical links no matter where you go, visit the Crail Heritage Musuem or the Scottish Fisheries Museum to find out more of the local history. There a several castles open to the public during the summer season with gardens and play areas too. Coastal routes round the East Neuk are a delight and give you spectacular views which cannot be seen from the coastal roads, along the way you may even find the St Monans Windmill. If you fancy some bird watching or an unusual day out, take a trip on the May Princess across to the May Isle. If none of these take your fancy then try looking under our link section for more activities in the surrounding areas.